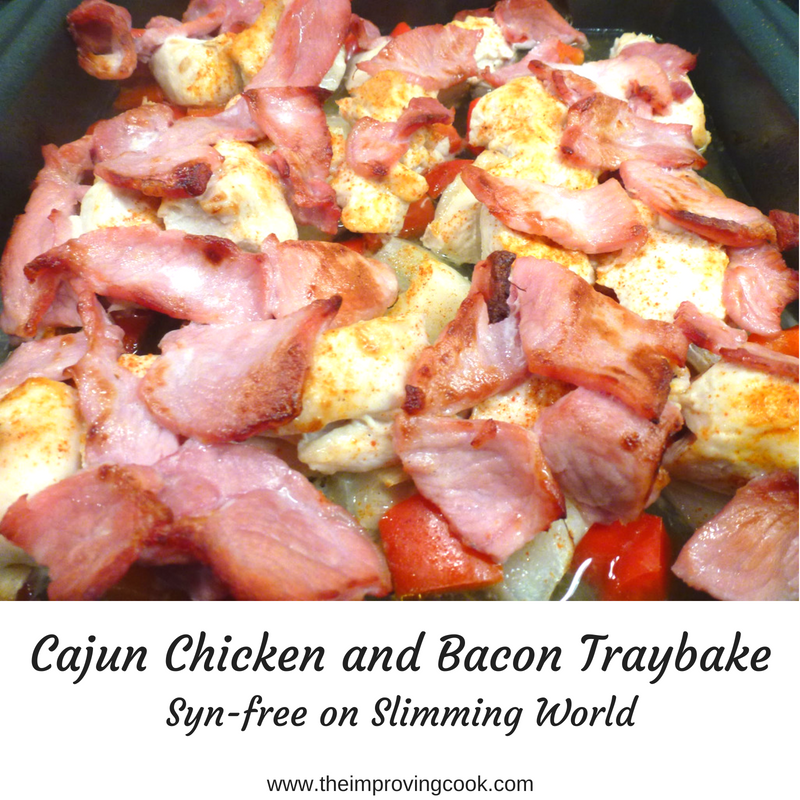 And so the Cajun Chicken and Bacon tray bake was born! I love a tray bake dinner. It's so easy- chop it all up, throw it on a baking tray and hey presto! You need 2 baking trays for this recipe as the key to getting it cooked quickly is space between the different food on the tray. One baking tray is for the potatoes so they'll get nice a crispy when you roast them and one for the veg, chicken and bacon. If you don't like Cajun seasoning, try Fajita seasoning, or Nando's chip seasoning as alternatives. 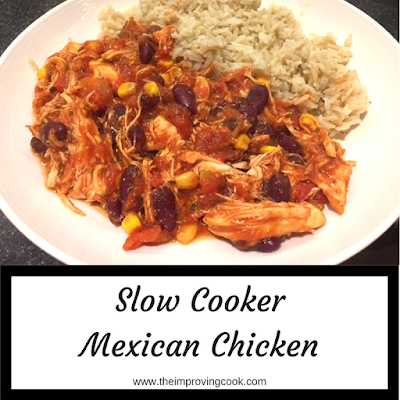 Would you like to join my UK Recipe Sharing Facebook Group? Put the potatoes straight in to roast. After roasting the veg for a few minutes, layer the chicken on top and sprinkle the Cajun seasoning. Add the bacon on the top and roast until crispy. Cajun Chicken and Bacon Traybake- a quick and easy recipe with roasted potato, red pepper and onion, perfect for quick weeknight dinners and syn-free on Slimming World. 1. Pre-heat the oven to 220 degrees C, (200 fan or gas mark 5). 2. Chop the potatoes into small chunks (roughly 2 cm), tip them onto a baking tray and spray them with the oil spray. Put into the oven straight away. 3. Next, chop the chicken into large chunks, the bacon medallions into good-sized pieces and roughly chop the peppers and the onion. 4. In the largest baking tray you can find, lay the veg out, spray it with the spray oil and pop it into the oven for 10 minutes. 5. 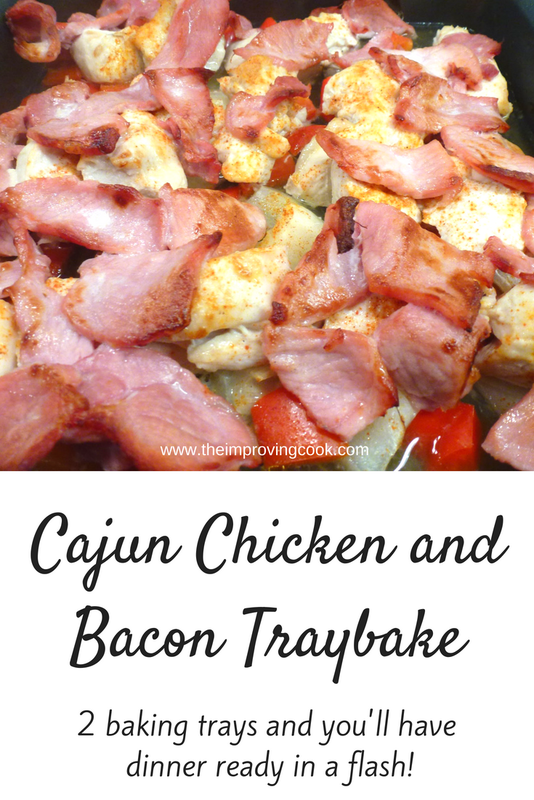 After 10 minutes, add the chicken and bacon on top, sprinkle the Cajun spice over the top, and cook for another 15 minutes until the bacon is crispy. If the veg is not roasting well (a problem you might have if the baking tray isn't big enough), use a wooden spatula to give all the contents a stir. If you're not following Slimming World, swap the bacon medallions for normal back bacon and use 1 tbsp olive oil for the potatoes and 1 tbsp olive oil for the veg. This will add 140 calories per person. 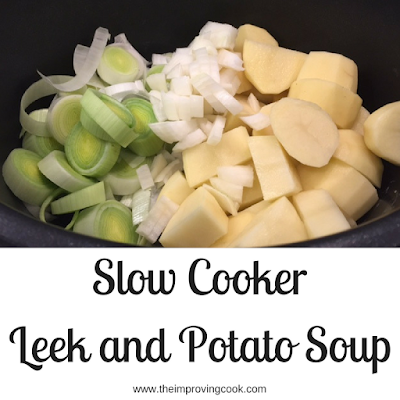 Serve with green veg or salad. Get Uk recipes tips and ideas in my UK Recipe Sharing Facebook Group. I am definitely going to try this it sounds easy and looks delicious. Thanks for sharing.